Trying to narrow it down to 15 was a tough task. I'm guilty of sometimes having a good moan about German politics, some of the more stupid laws and the amount of parking tickets I get, which kind of detracts from the reasons why living here is great. So here we go, these are the completely random things about Germany I love, in no particular order or reason. German cities are usually bright, spotlessly clean and well-zoned. Residential areas are mostly well away from industry. There is plenty of green space and, with a few notable exceptions, very few concrete eyesores and inner-city motorways cutting off the city centres from their outlying residential areas. Parks and pavements are well-lit and one of the first things about Germany you notice is there is very little litter. There is still a sense of community, even in larger cities, with plenty of small, specialist shops. You can't help but feel that a lot of thought has gone into urban planning. Unlike in the UK, after WW2 a lot of German cities were painstakingly reconstructed to look how they did before their destruction in the bombing raids. Compare this with the ugly postwar reconstruction of places like Coventry and Birmingham. Violent crime and muggings in German cities are very rare and only the largest metropolises have a couple of no-go areas where you would not want to be on your own at night. In medium-sized German cities, this is virtually unheard of. Whether that will significantly change in the years to come remains to be seen. If you're a keen cyclist or hiker, or perhaps both, there are few places that are better for getting out at the weekend and into nature. Germany may not have the highest mountains for hiking or as dense a network of cycling paths as The Netherlands, but looking at both of them together it's a pretty tough place to beat. The other great thing is that everything is so well signposted, especially in areas which have really made the effort to build up their tourist infrastructure. The Black Forest, for example, is so peppered with sign posts for walkers and mountain-bikers that it's almost impossible to get lost, especially if you have a smartphone with a GPS signal and / or a decent map. The Bavarian Alps is also a hiker's paradise with possibility to do hut-to-hut walks of several days' duration. Long-distance cycle routes such as the Mosel cycle route, Danube cycle route and Main cycle route follow Germany's greatest rivers, with barely a few kilometres each day on busy roads. Beer, glorious beer. Sorry, I'll try not to sound like Homer Simpson here but there are few things more delightful than a warm, summer evening sat in a Biergarten sipping on a speciality beer from a small, privately-owned brewery. Yes, we have the usual mass-produced rubbish here too but it is quite easy to get hold of the better stuff, and not that much more expensive either. Beer in fact is very cheap in specialist drinks stores, known here as Getränkemärkte, usually at around €0.70 per bottle for excellent beer. Bavaria, especially Franconia in the northern region of the state is most famous for its beer, and it is here where there are the largest concentration of what are in hipster circles now called Craft Breweries (except these ones are hundreds of years old and preceded the pasty looking, bearded chaps who think it's cool to pay £5 for a bowl of cereal in a café). The German word is Privatbrauerei, which literally means private brewery. German wine, at least internationally, is very underrated and kind of off-the-radar for all those who aren't in the know. The German wine industry shot itself in the foot in the '80s and early '90s by aggressively exporting cheap, poor quality, mass produced wine (Liebfraumilch and Hock, anyone?). This reputation sadly stuck. German wine still has a stigma for being sweet and low in quality. The reality could not be more different. The noble Riesling grape thrives on the steep slopes along the Rhine and Mosel rivers and is well suited to the climate and soil found in Germany. What's more, German wine is great value for money too. Away from the top wineries, it is very easy to pick up a good quality wine directly from the producer for around €5 per bottle. Rieslings are usually dry of off-dry except for the more expensive, sickly sweet Eiswein dessert wines. I can also confirm that a cycle or a run through the vineyards is very good for the soul! So maybe not one for the veggies but I have to admit, I do love my German deli products. It's not quite on the level of Spain (mmm, jamón iberico…) but the pig reigns supreme in Germany. From Schwarzwälder Schinken (Black Forest smoked ham), to Thüringer Bratwurst (a lightly spiced, long sausage from Thuringia), all the way through to Mettwurst (a type of sausage meat which is eaten raw. Personally I find it the most disgusting thing after Leberkäse). My favourite though has to be the wonderful Schweinshaxe (roast pork knuckle), served typically with Sauerkraut, dumplings and dark beer sauce, this is best ordered in a Brauhaus (a brewery restaurant). The perfect ending to a long day on the piste, this is a speciality of Bavaria which is where the major ski resorts are. Throughout late spring and summer in Germany, it seems like there are festivals every weekend, regardless of the area you live in. They usually revolve around a specific theme: Wine festivals, town festivals, suburb / district of a city festivals, food festivals, beer festivals, even festivals celebrating a particular fruit or vegetable. These celebrations are well organised, extremely civilised but at the same time a great party and a wonderful opportunity to experience an important local cultural celebration. It's a time where everyone seems to crowd into the festival, enjoy life and just have a good time together, young and old. No fights, no trouble, very few idiots. The first time my Dad visited, he couldn't understand why there wasn't a riot. Oh yes, and I forgot to mention that you also get to drink from real glasses rather than the government dictating to you that drinking outside = must have plastic cups. Truly wonderful. I admit it, sometimes the recycling system here drives me crazy trying to figure out what needs to go where, but the intention is the right one and the Germans have being doing it this way for over 30 years. I simply produce less trash. My rubbish bin gets emptied once a week, tops. And that's usually because it is stinking, not full. So while most developed countries are slowly reducing what gets sent to landfill and implementing policy to drive more recycling, Germany is almost 2 generations ahead. If only the Germans would drink tap water instead of consuming so much bottled water! Oh yeah, and the lobby for diesel cars it turns out wasn't the smartest either, but hey, nobody's perfect. And things are going in the right direction here with many cities now banning older, dirtier diesel cars from their densely populated core. There are lots of countries in Europe where you can ski, and yes, we don't have the glitziest resorts or the best ski slopes, but this is exactly why it's one of the things about Germany I enjoy so much. People who want a cheap skiing holiday where it's all about boozing go to Eastern Europe. The swanky resorts which are full of the posh London set with names like Rupert and Penelope are all in Switzerland or France. In fact, many attract more people for hiking and spa tourism in Summer than they do for Winter sports. The slopes are well prepared and the lift infrastructure is well developed, although not the same league as top Austrian resorts. Accommodation, food & drink on the slopes, as well as aprés ski are all great value, even in the Alpine resorts. Coming from the UK, there are very few outdoors recreational opportunities in a beautiful, peaceful setting within a few train stops from major cities. One of the things about Germany which distinguishes it from the UK is that here it is pretty much the norm. Munich has its lakes, Frankfurt has the Main and the Taunus, Cologne has the Eifel and the Rhine. And the locals really do make the most of this, with an excellent infrastructure to support it. No need to run next to heavy traffic…hop in your car or on the bus / train and take your Sunday exercise fix along the river bank, the lake or through the vineyards. The central location in the heart of Europe allows for many easy excursions to neighbouring countries. South-West Germany offers easy access to France, Luxembourg and Switzerland. Bavaria sits on the border with Austria and some of the more rural parts of Czechia. Saxony borders the Czech region of Bohemia and offers easy day trips to Prague. The industrial far-western regions of Germany around Cologne and Düsseldorf enable a quick trip to Belgium or The Netherlands. The possibilities are endless as long as you have the time, money and energy to make lots of travel a priority! Germany has borders with nine countries, giving endless opportunities to discover something different, without the need to suffer airport hassle and the bright yellow plastic of Ryanair. Public transport isn't particularly cheap but it's one of the things about Germany which makes life without a car manageable. It is extremely well run, clean, well-maintained, with frequent departures and efficient onward connections from the way that the timetables are integrated. You can buy a ticket on the bus and it is then valid for connecting travel on a tram or local train. 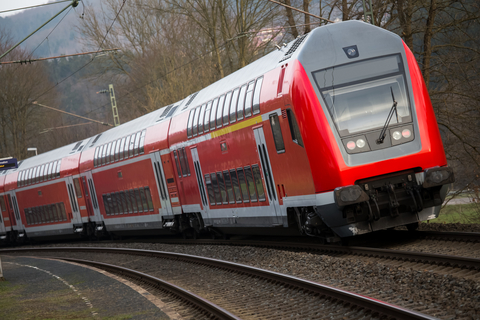 It is also possible to easily take your bike with you on trains, as well as being able to buy tickets which give unlimited travel on all public transport in a specific State of Germany for a whole day, excluding InterCity train services. Granted, there is not a whole load of competition to be top dog in the Bundesliga but everything else about it is magical. Almost like an advert for “make football GREAT again”. Most of the clubs are still run by the fans. Ticket prices are very affordable, meaning that Dads can still take their kids without having to remortgage their house. You can have a couple of beers in the stadium, the bus or tram to the game is included in the price of your ticket, there are very few clubs with a hooligan problem, stadiums still have standing sections and there is a very sensible 4-week Winter break from Christmas to mid-January. The only thing missing from this nirvana is a chicken balti pie at half-time. This one would never have even dawned on me until I moved here but it made me realise how in Britain, we are blissfully unaware of when certain produce is in season. Every kid has visited a farm shop at some point during their childhood but we don't tend to connect produce and its season together, which is one of the things I love about Germany! Everyone here knows that April and May is asparagus season, then come strawberries and cherries from May into June. The cherries close to my home, Frauensteiner, are the most delicious I have ever tasted. Sweet, big and succulent, I have been known to devour half a kilo snacking at my desk. Then come the berries, with blackberries typically the last of those coming in early August. Plums typically signal the departure of Summer, then as Autumn draws in, apples, pumpkins and the sweet, unfermented Federweisse grape juice (about 5% alcohol content) from the vineyards are everywhere to be seen in the markets and on roadside stands through the villages. With the onset of dark nights and the march towards Winter, goose is a speciality leading up to Christmas. You'll never want to eat turkey again! Every driver from other countries dreams of being able to put their foot down on the gas and push their car to the limit. Sounds great in theory but the reality is somewhat different. Traffic congestion and a severe lack of infrastructure spending over the past years has led to many Autobahns being prone to chronic jams and construction every 20 kilometres. Consider also that speed limits are indeed in place on busy stretches and in metropolitan areas. Nonetheless, even after taking all of this into consideration, there is nothing greater than the exhilaration of speed limit-free driving along an isolated stretch of motorway. Christmas is a special time in Germany. The cute, wooden huts of the Christmas markets, where the smell of roasted chestnuts is everywhere in the cold, crisp air as you make your way through the various stands. Whenever I am back in the UK, I feel that Christmas has lost its magic. Just another opportunity for rampant consumerism to rear its ugly head and for spoilt kids to demand the latest toy or gadget. In Germany it's different. It's the whole ambience of the month of December and the feeling of celebrating a special time, where the old year comes to a close. Goose, Glühwein and good time spent with friends amongst the aromas of the Christmas market is a snug feeling in a foreign land. Even though religion plays absolutely no part in my life, I find myself in November looking forward to the start of Christmas market season! What about the rich theatre and concert life, accessible to everyone thanks to public funding. Cheapest seat in the Stuttgart Opera – “Opera house of the year 2016” – for example is € 8. This is not a typo. Yes, you’re right, although the Arts are not a big personal interest of mine, I have to admit. It is great value though and affordable to pretty much everybody. The same in Eastern European countries too. Hmmm, I am not convinced of the merits of Grüne Soße. Or Mettwurst! Dear James, have you tried Gruenkohl with Mettwurst at all? It´s a winter only dish from the north of Germany and you gotta try it! You will even learn to love Mettwurst! I firmly believe that in Germany the food gets better the further south you go. Bayern is kind of my thing. Lots of meaty dishes and big portions! I have to disagree on the smaller cities being well lit at night. It’s very dark with only very dim lights spaced far apart in the city I’m living in. I also am disgusted by Mettwurst. Yuck!! I think Mettwurst is disgusting too! Yes, cities are cleaner than in UK, but graffiti makes lots of places look run down. My wife left GER 1968 and we moved back here together in 2002. She says, Germany was v tidy and clean in 1968 but litter is a problem here, too although not as bad as in UK. From where we live it’s easy to spend a day in Alsace but we do miss the sea. Too far for a day out.